All of Marissa Meyer's books are some of my very favorites. The prose is beautiful, the plot unpredictable, and the characters unique, yet lovable. I would have just chosen her books for all of my top three, but I've decided to choose other stories for variation. As you can guess, Winter is a retelling of SnowWhite, and it's definitely my favorite of the Lunar Chronicles, though Cress is pretty amazing. Winter is the grand finale of the entire series, and Marissa Meyers doesn't disappoint. None of the characters are neglected. Each relationship gets their own sub-plot and a share of the spotlight. Winter is the fair Lunar Princess. Like Levana, she also has had a miserable childhood, tortured by her closest relative instead of loved. But instead of traveling the path Levana went, Winter becomes kinder. In fact, she stops using her telepathic Lunar abilities, because she thinks it's wrong to take control over someone. As a result, she has terrible hallucinations, and many think she's insane. Jacin, Winter's guard and child-hood friend, is so sweet and protective of her. I just loved seeing the two interact. I must warn you that this does not read as a stand-alone. The plot gets more complicated with the addition of more sub-plots, so you must start with Cinder and work your way up. Each and every book sparkles in its own way, so I'd recommend reading all of them. This is a retelling of Beauty and the Beast (my all-time favorite fairytale), and though it's the second in a series, it does read as a standalone. This is another very tender romance. 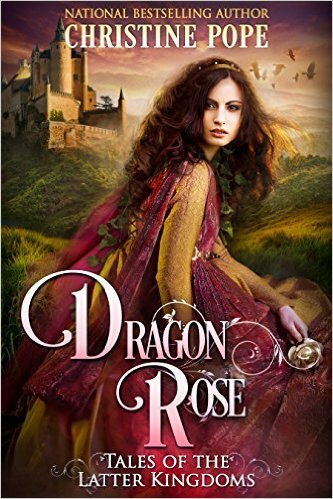 The Dragon Lord is surprisingly kind, even when Rhianne pries into his secrets. Rhianne is strong, independent, and practical. She's a great character to follow, and it's exciting to unveil the mysteries and secrets that lurk in the castle. Do you know of any other Beauty and the Beast retellings? I'd love to check them out :) Do you like to read retellings of fairytales? Why do you think some people like to hear the same stories over and over again? Want more fairytale retellings? Check out Laurie's favorites. I'm linking my website to my name, so please feel free to check it out ;) Especially if you like romances. I just finished Winter last night! I agree. . .great choice! I will have to check out the other two as well! Thanks, Liz! My pleasure, Erin :) Thank you for the comment! 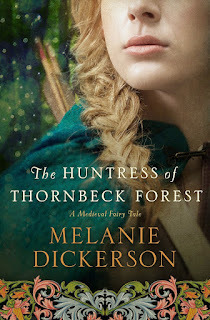 I haven't read any of these books yet, but they're all going on my list :) Other Beauty and the Beast retellings I can think of are Beauty and Rose Daughter, both by Robin McKinley, Trevelyan by Naomi Musch (this one will probably be included in one of my future What We're Reading posts), and The Merchant's Daughter by Melanie Dickerson, which you've probably already read :) Beauty and the Beast is one of my favorite fairy tales, too. One of my story ideas for a future manuscript was inspired by Beauty and the Beast - hopefully I'll get around to writing it someday! Thanks, Liz! These sound really good, and I like love stories too. 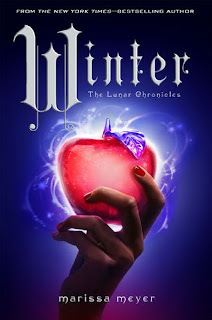 :) I haven't read Winter yet, and may have to pick that one up this weekend. The other two I had never heard of, and I will be adding them to my book list.